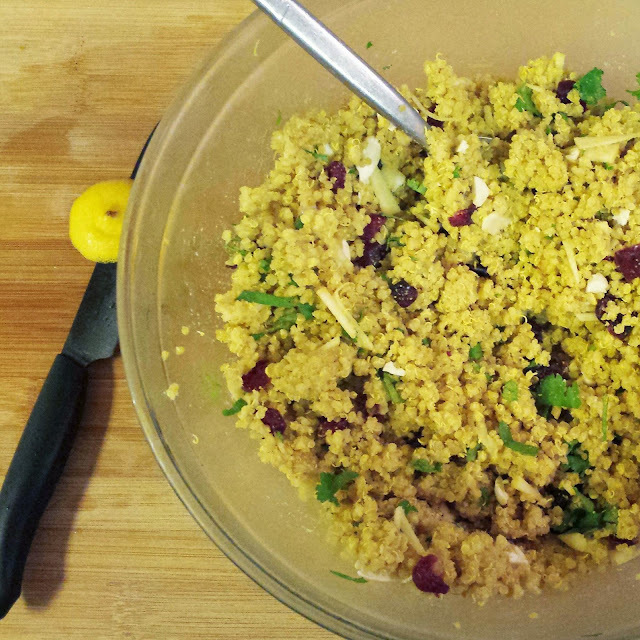 I've been loving the use of curry powder in many dishes and decided to add it to a quinoa dish. I love how you can add both savory and sweeter bits to curry to emphasize the curry flavor. 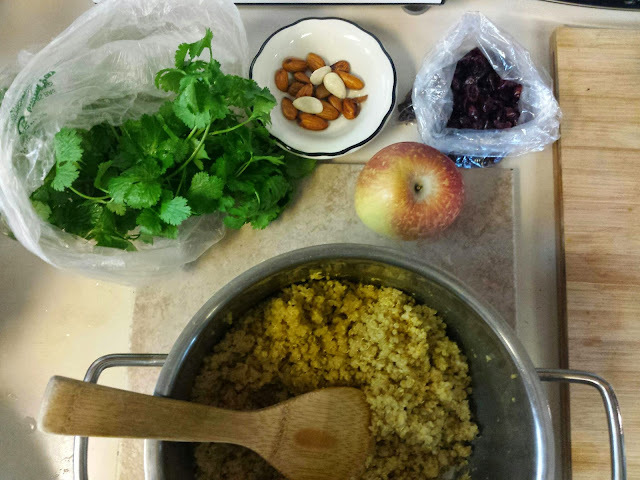 Today's dish features this curry quinoa dish with a mix of apples, dried cranberries (as opposed to raisins) and raw almonds. 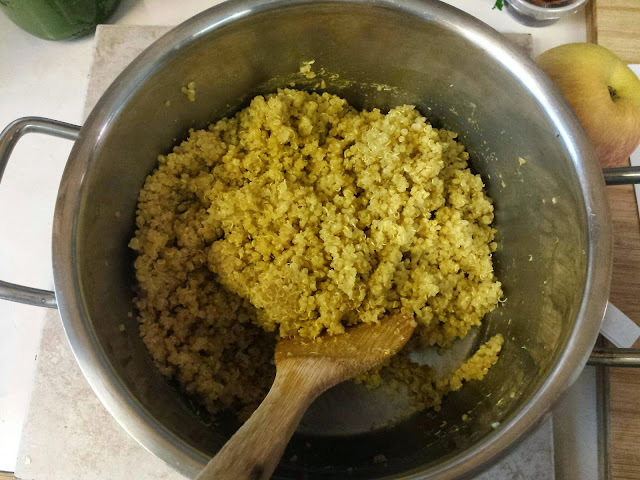 Mix coconut butter to cooked quinoa. Squeeze the juice of half a lemon and mix. *This dish tastes better if the flavors soak overnight but it can still be eaten right after you prepare it! Readers, do you like quinoa? 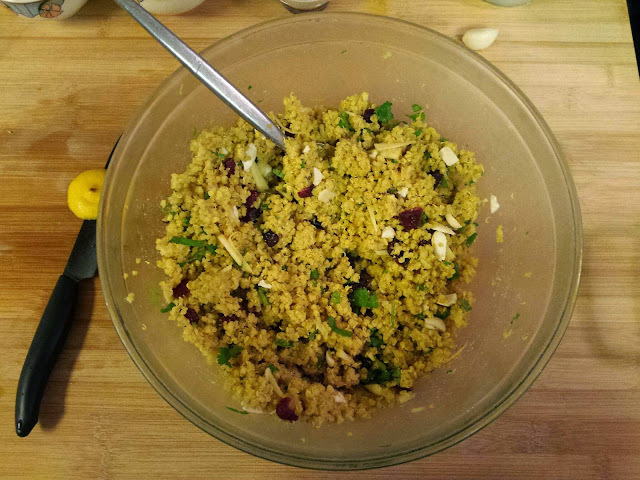 What are your favorite ways to cook/eat quinoa? Let me know! 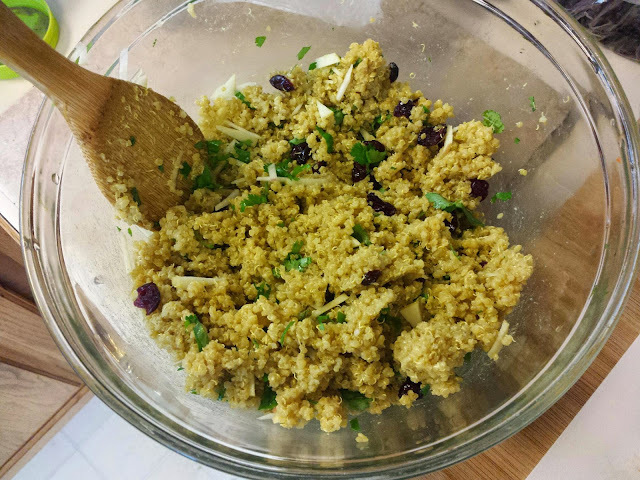 Quinoa reminds me of couscous but is healthier! 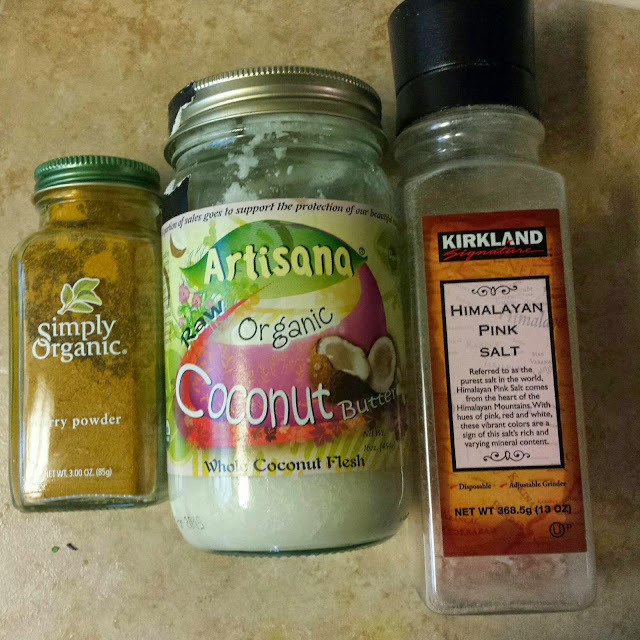 =) You can also blend quinoa with brown rice or something else if you're not used to it yet. I need to try Quinoa and see what everyone is talking about! But this looks absolutely delicious ! That looks delicious and so simple! Thanks for sharing this! There's so many ways to prepare it and it's so good for you!! I wanna try this but for some reason I cant eat quinoa by itself. I love your blog, will definitely be following.